Fuselage Number 5H-S, Serial Number 41-39274. Probable Photo Date Range: 6-Dec-1944 to 25-May-1945. Lumir J. Prucha Caption: "My two crew chiefs in front and my armorer on top of Sugar Baby." 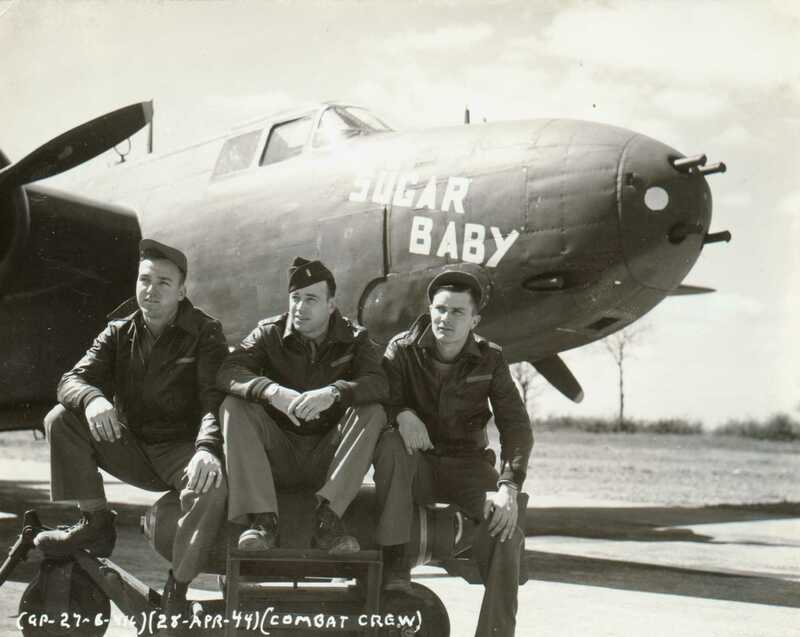 Description: A-26B "Sugar Baby" (5H-S) with 2 crew chiefs and armorer. Description: (Zoom) A-26B "Sugar Baby" (5H-S) nose zoom. Nose art consists of only name but no picture of a baby or bomb and has no "mission count bombs". 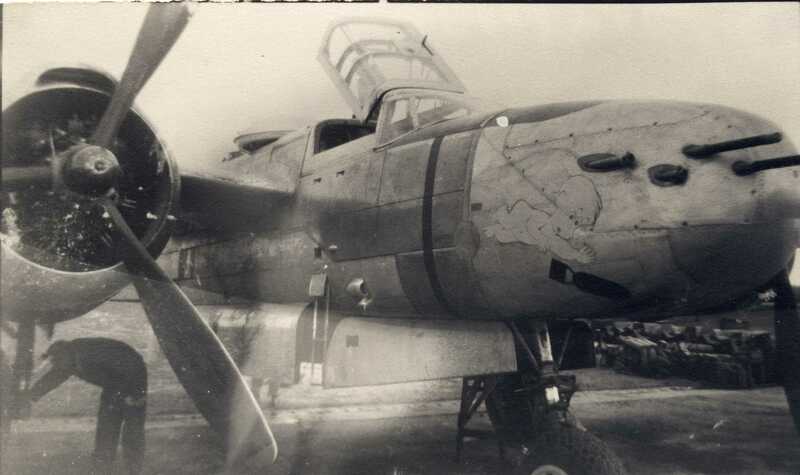 Description: (Back of Photo) A-26B "Sugar Baby" (5H-S) with 2 crew chiefs and armorer. Nose art variation 2) Name and about 12 "Mission count bombs"
Description: 1st. 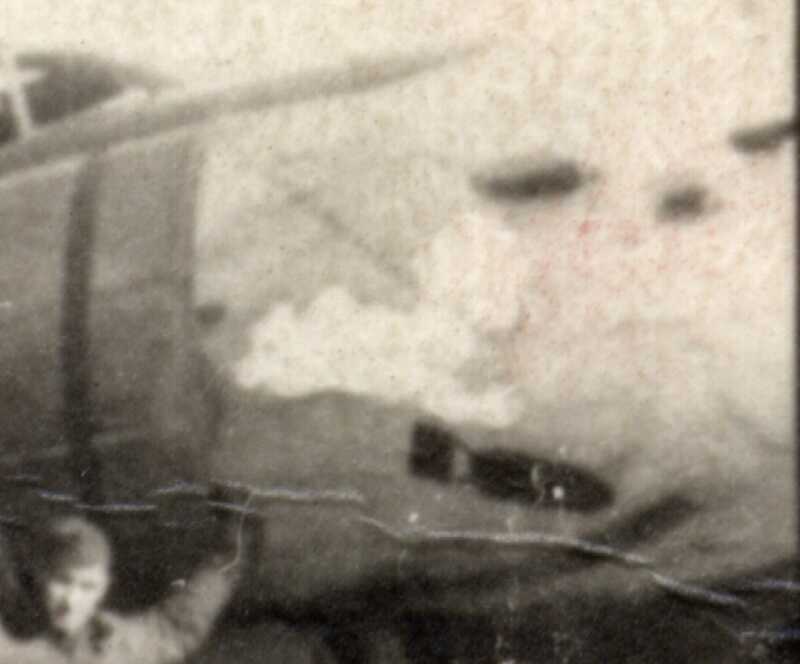 Lt. Lumir "Lou" J. Prucha and A-26B "Sugar Baby" (5H-S). Description: (Zoom) A-26B "Sugar Baby" (5H-S) nose zoom. 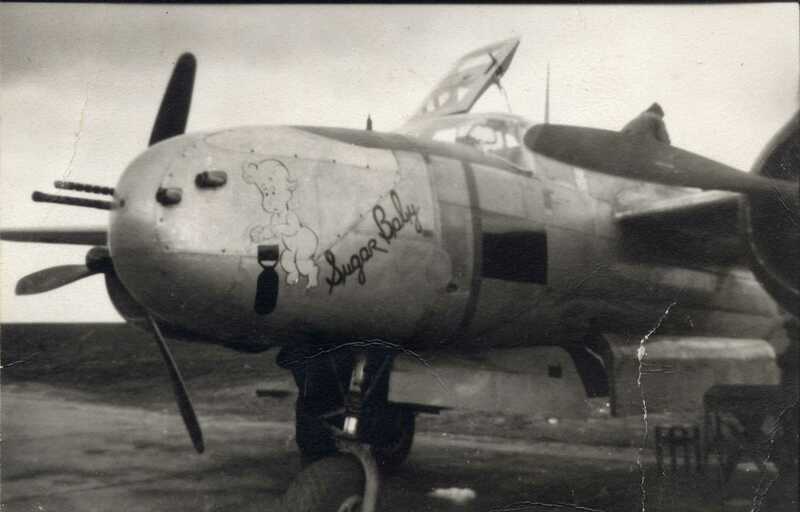 Nose art consists of only name and shows about 12 "mission count bombs", but no picture of a baby or bomb. Description: (Back of Photo) 1st. 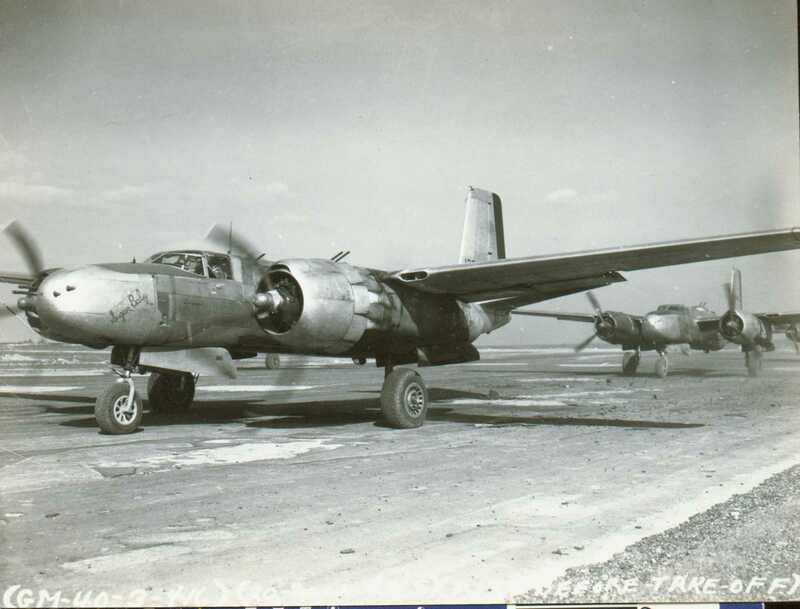 Lt. Lumir "Lou" J. Prucha and A-26B "Sugar Baby" (5H-S). 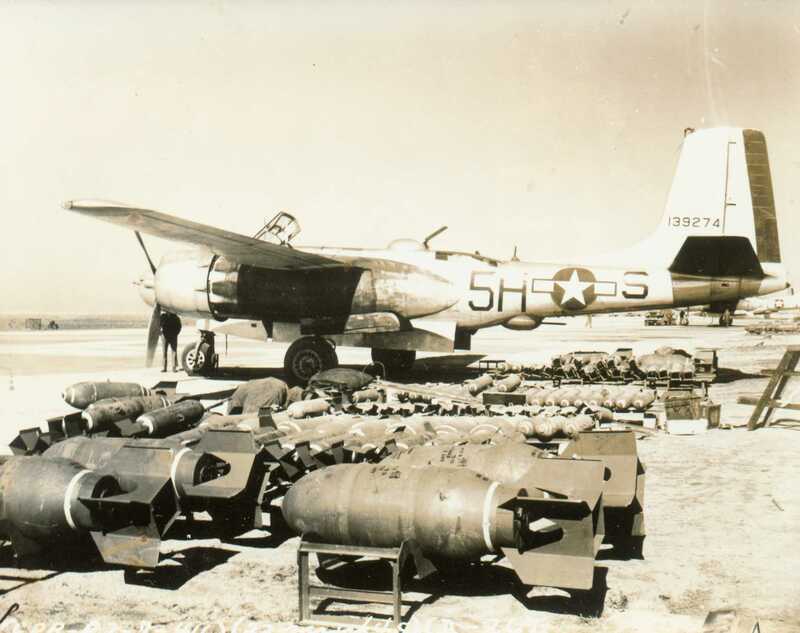 Description: A-26B "Sugar Baby" (5H-S). Description: (Zoom) A-26B "Sugar Baby" (5H-S) nose zoom. 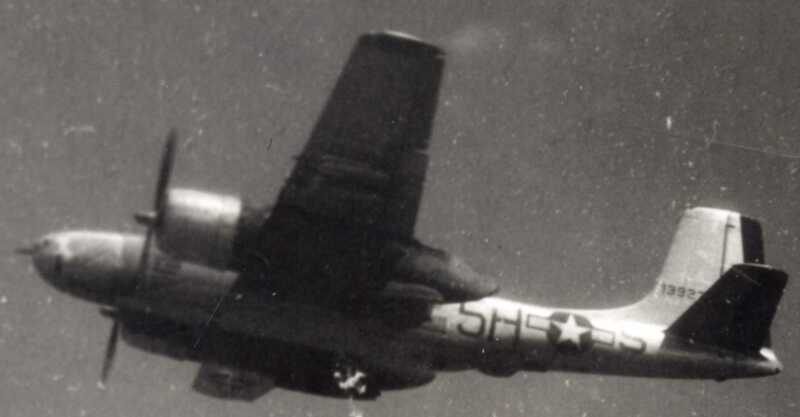 Nose art consists of name with vertical baby dropping a bomb. but no "mission count bombs". Description: A-26B "Sugar Baby" (5H-S, S/N: 41-39274) on takeoff, Lt. Lumir "Lou" J. Prucha piloting. 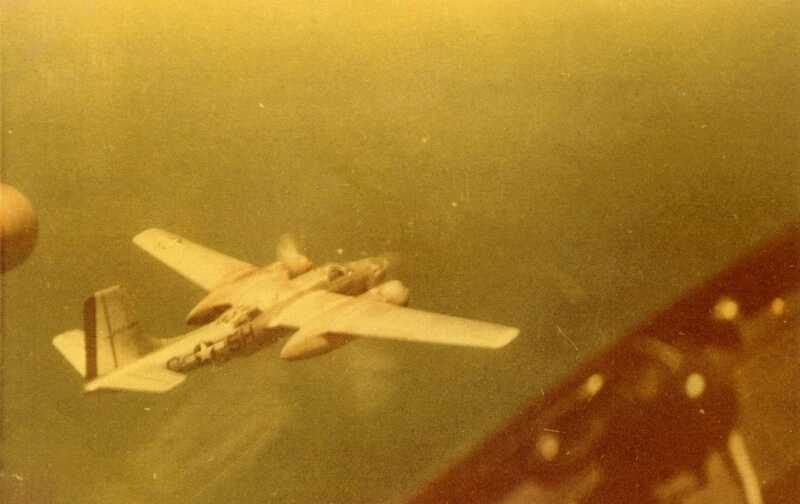 Description: (Zoom) A-26B "Sugar Baby" (5H-S, S/N: 41-39274) on takeoff, Lt. Lumir "Lou" J. Prucha piloting. Description: (Zoom) A-26B "Sugar Baby" (5H-S, S/N: 41-39274) nose zoom. 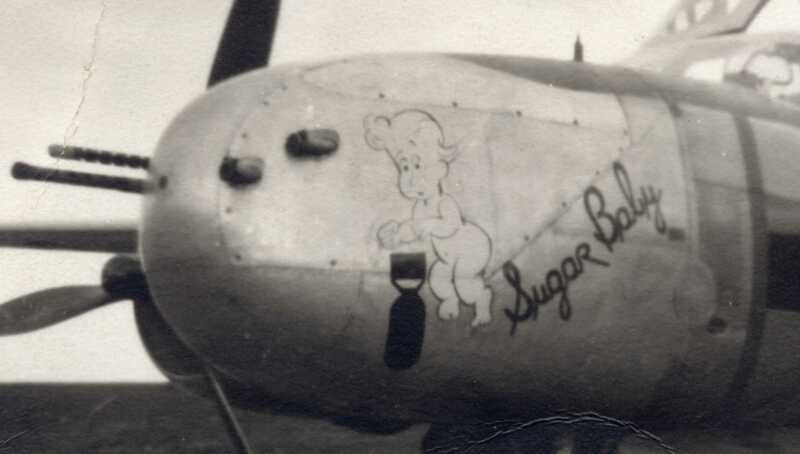 Nose art consists of name with vertical baby dropping a bomb. Cannot distinguish if there is are "mission count bombs". 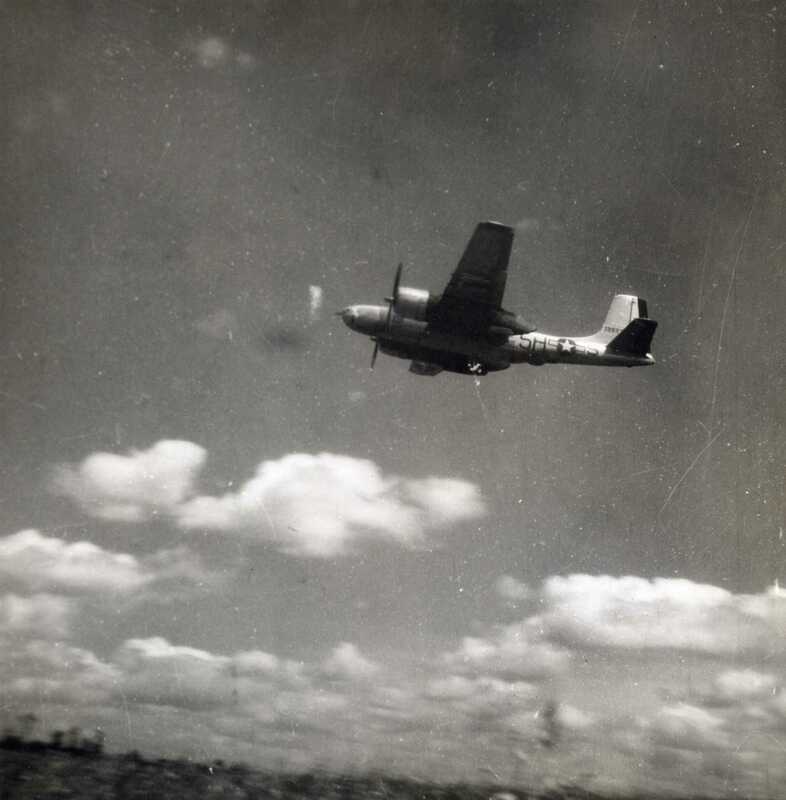 Description: (Back of Photo) A-26B "Sugar Baby" (5H-S, S/N: 41-39274) on takeoff, Lt. Lumir "Lou" J. Prucha piloting. Nose art variation 4) Horizontal baby dropping a bomb, no name. Description: (Zoom) A-26B "Sugar Baby" (5H-S) nose zoom. 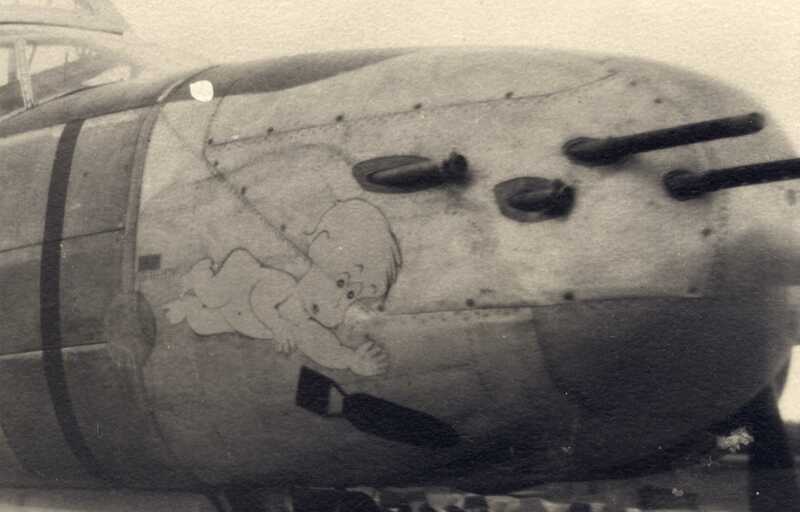 Nose art consists of horizontal baby dropping a bomb, but no name or "mission count bombs". 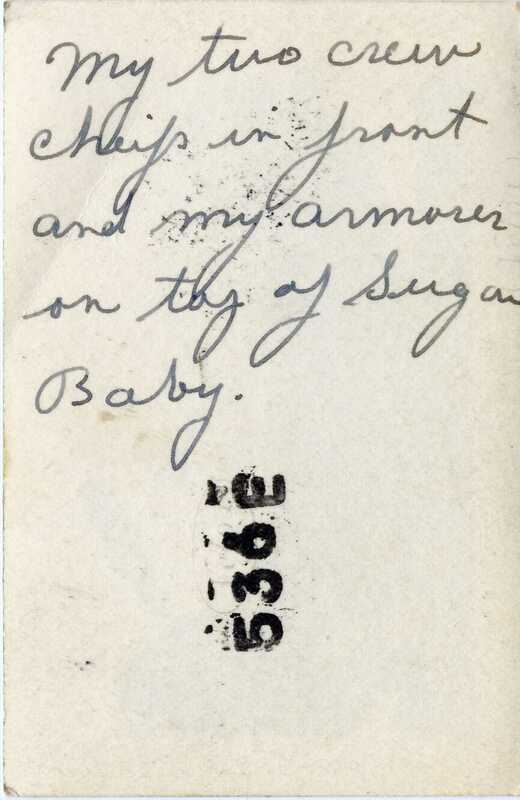 Lumir J. Prucha Caption: "Ferguson & 'Sugar Baby'"
Description: Sgt. 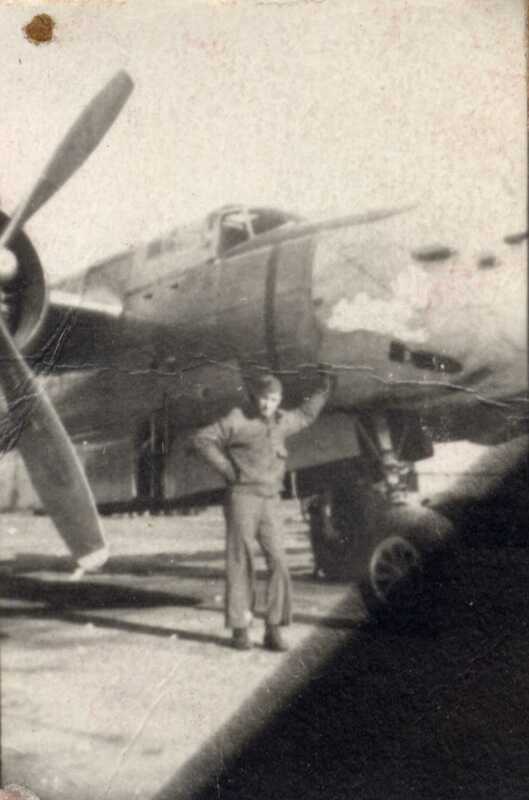 Leland C. Ferguson at base A-69, Laon, France in front of A-26B "Sugar Baby" (5H-S). Description: (Back of Photo) Sgt. 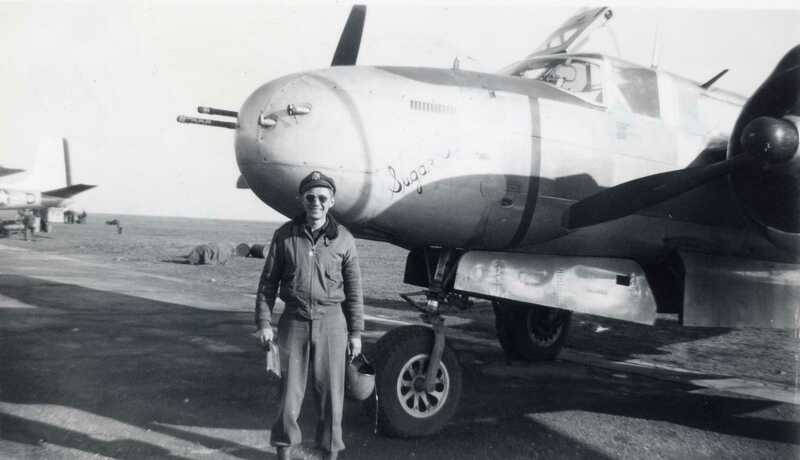 Leland C. Ferguson at base A-69, Laon, France in front of A-26B "Sugar Baby" (5H-S). 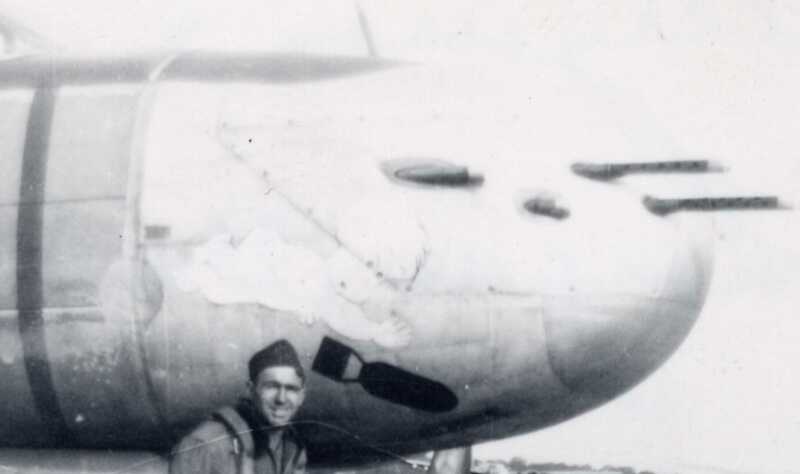 Captain Francis J. Cachat assigned to the 416th BG. who posted them on his website "416th Bombardment Group (L) Photo Gallery". and are available at the "Captain Francis J. Cachat's 416th Photo Collection" webpage. Description: The "Original" Sugar Baby - The A-20 model aircraft with the name "Sugar Baby". 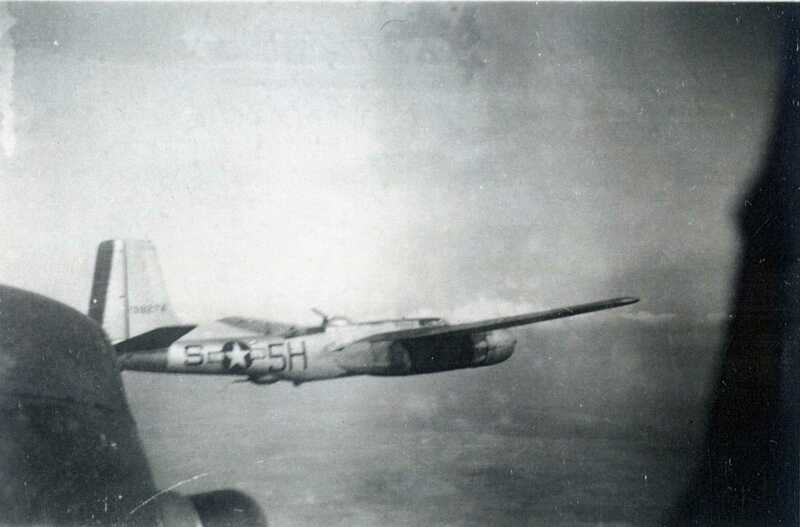 Description: Just before takeoff for 416th BG Mission # 244 against Marshalling Yards at Geisecke, Germany. 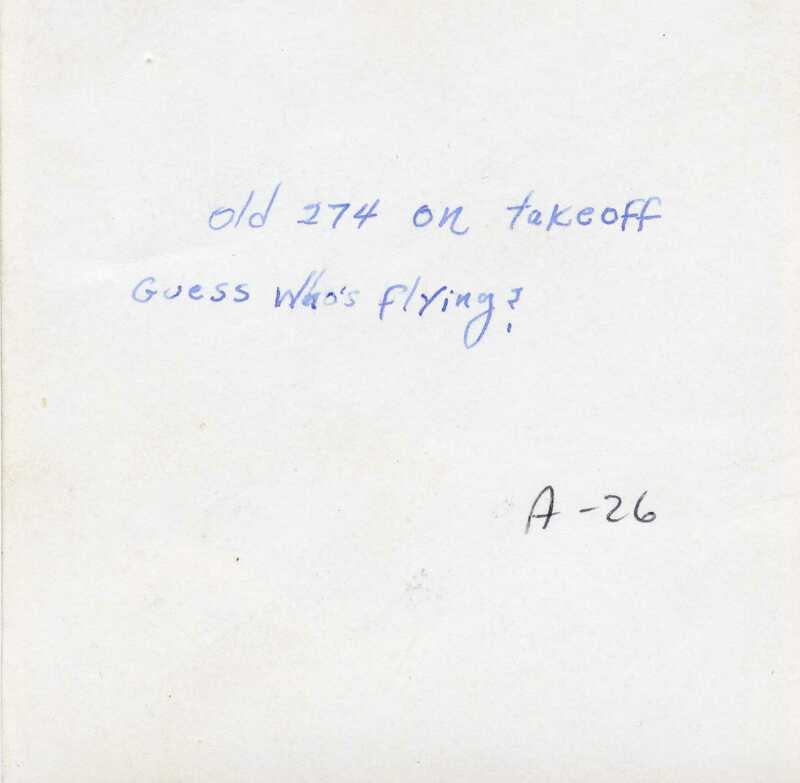 Lou did not fly this mission, but according to the Loading List in the AFHRA documents, the crew of Sugar Baby on this mission was Lt. Thomas D. McCready (pilot) and Cpl. 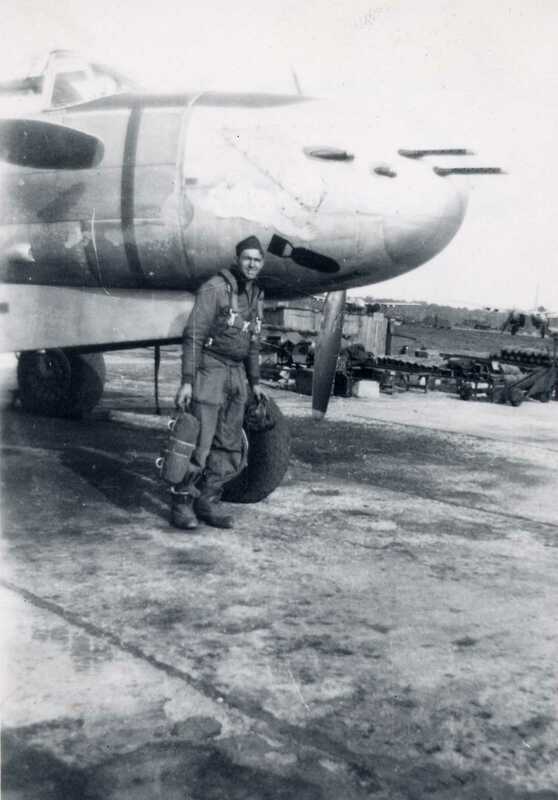 Donald W. Hawk (gunner). 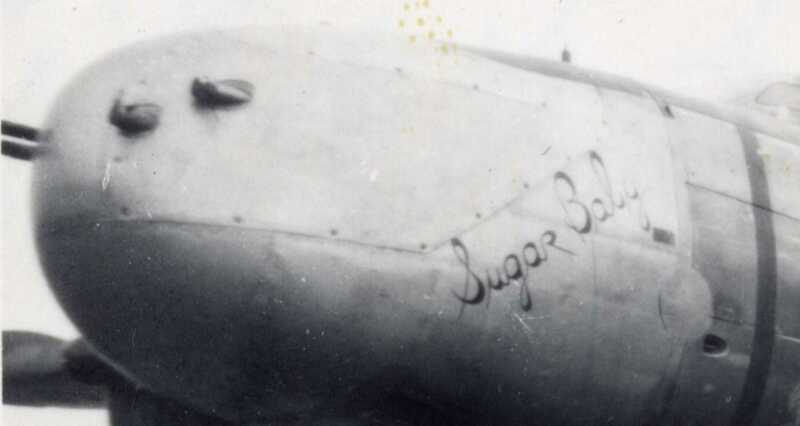 Note the Nose art consists only of the name "Sugar Baby". 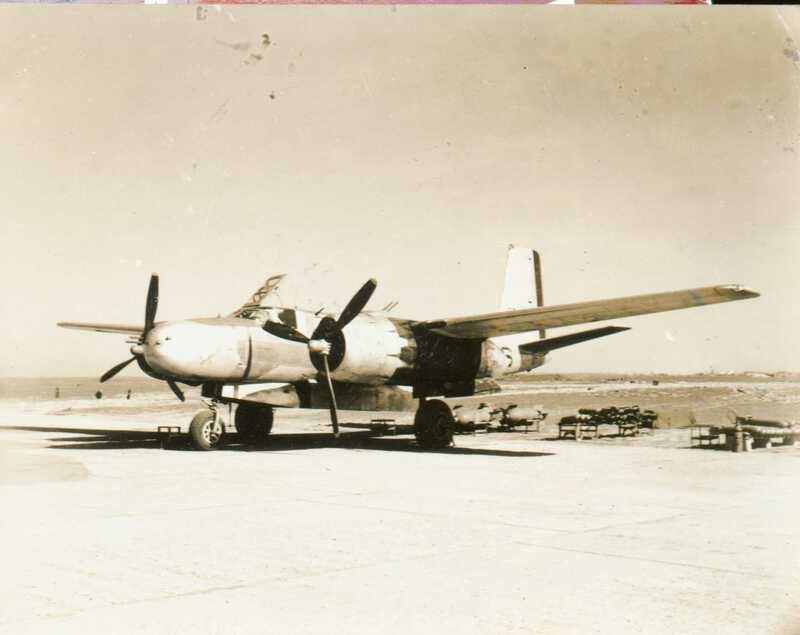 Description: Sugar Baby on the Tarmac, likely preparing for 416th BG Mission # 248 against Berken Communication Center, Germany. Lou piloted Sugar Baby on this mission. 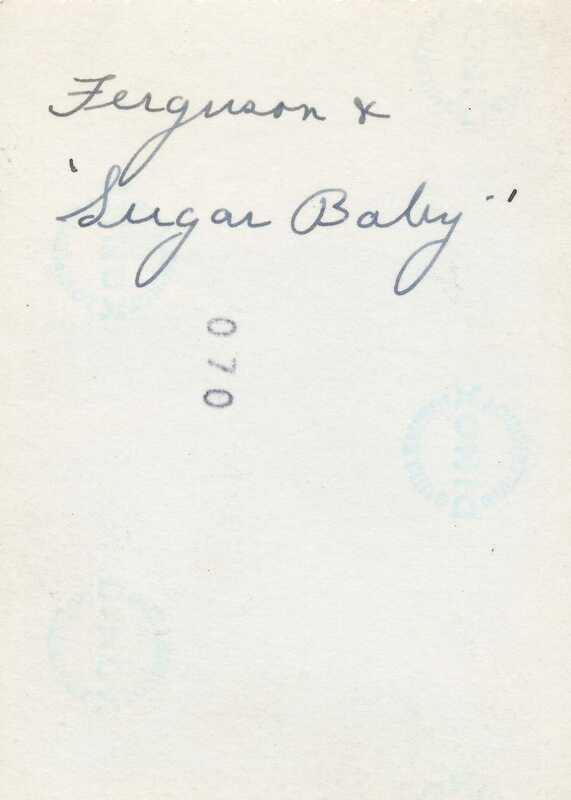 "Sugar Baby" Photos from the collection of Lt. James Potter "Jim" Phillips. 668th Bomb Squadron (L) A-26 pilot Jim Phillips who flew with my father, sent me prints of these photographs in December, 2003. His note read: "Rick: I found some old pictures which you may enjoy. See back of each for comment. -- Jim"
Description: "Sugar Baby" in flight, piloted by Jim Phillips. 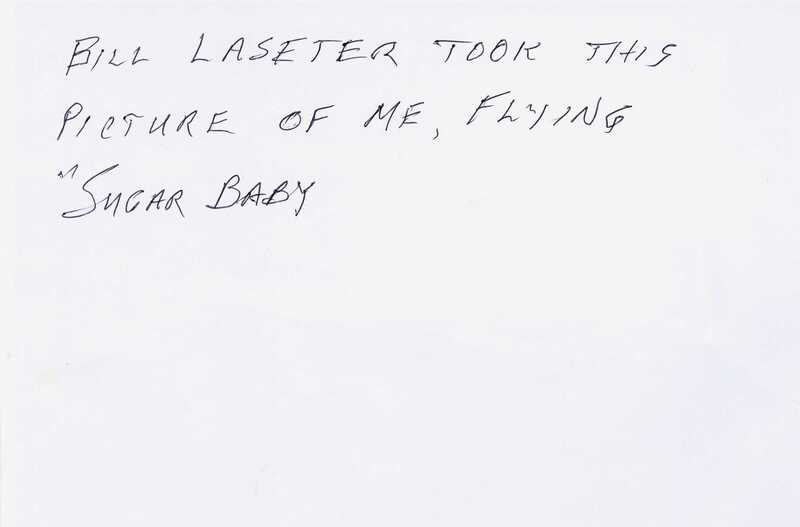 Jim Phillips Caption: "Bill Laseter took this picture of me, flying "Sugar Baby"." 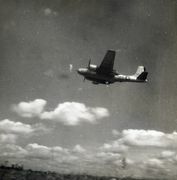 Description: (Back of Photo) "Sugar Baby" in flight, piloted by Jim Phillips. 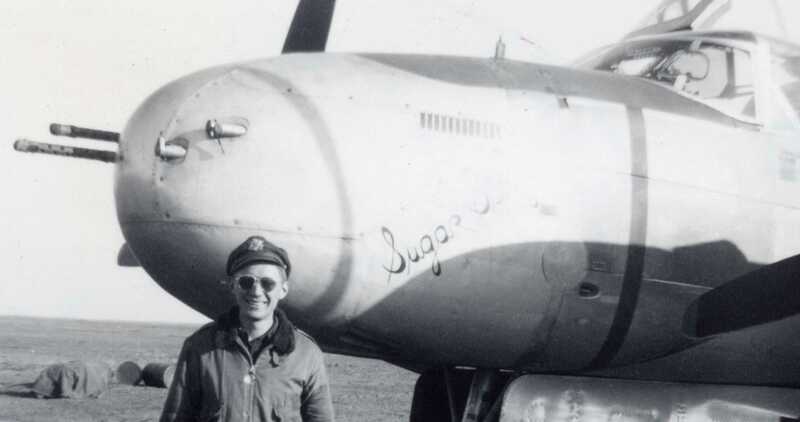 Description: Jim Phillips was one of the pilots who ferried a group of A-26 aircraft, including "Sugar Baby", back to the United States after the War. 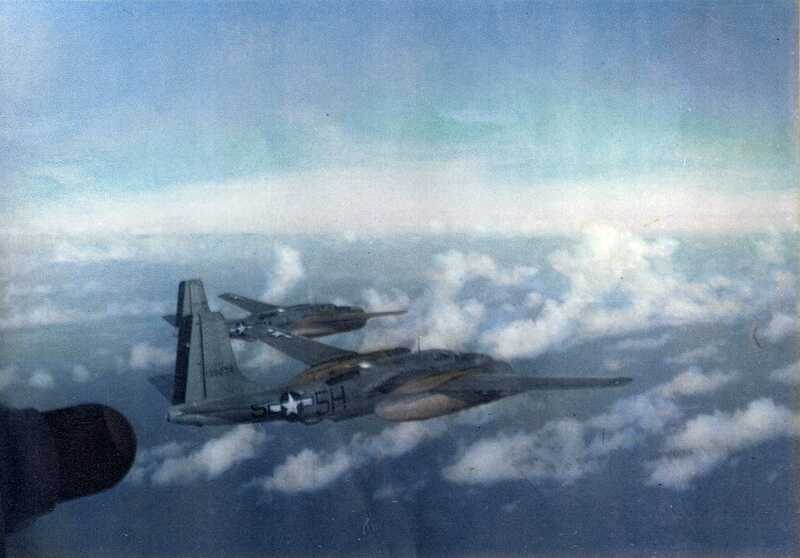 He took this photo while flight over the South Atlantic, August, 1945. 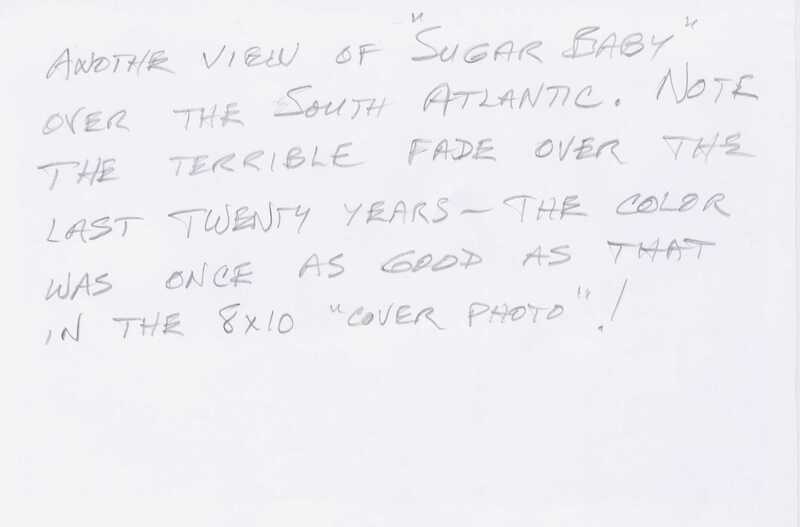 Jim Phillips Caption: "Another view of "Sugar Baby" over the South Atlantic. 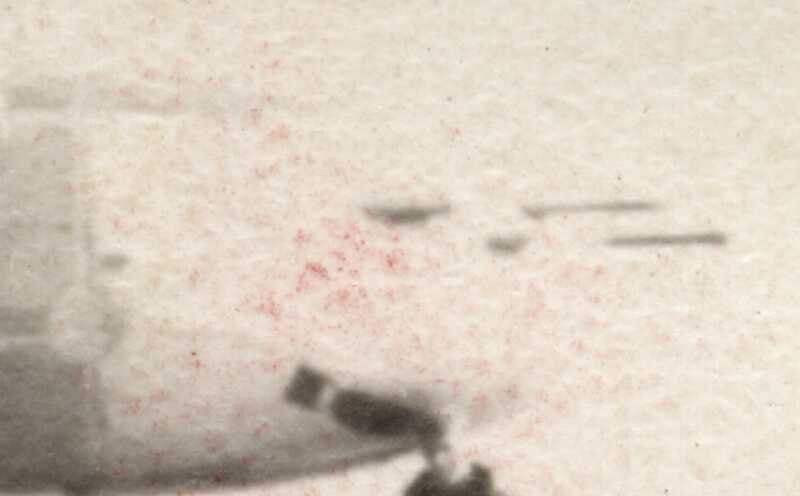 Note the terrible fade over the last twenty years - the color was once as good as that in the 8x10 "Cover Photo"!" 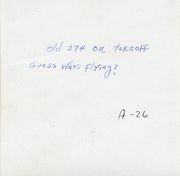 Description: (Back of Photo) Jim Phillips was one of the pilots who ferried a group of A-26 aircraft, including "Sugar Baby", back to the United States after the War. He took this photo while flight over the South Atlantic, August, 1945. Description: Jim Phillips was one of the pilots who ferried a group of A-26 aircraft, including "Sugar Baby", back to the United States after the War. 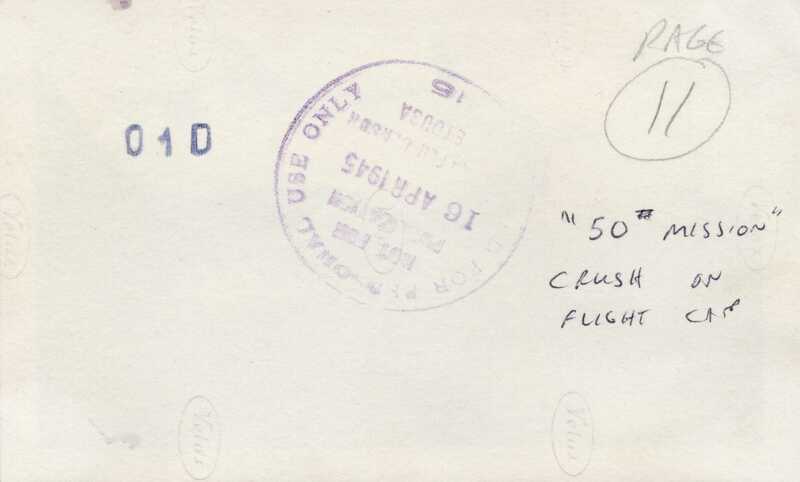 He took this photo while flight over the South Atlantic, August, 1945 and used it on the cover of his self-published book Pillars in the Sky, World War II from the Air. Jim Phillips Caption: "A better print of the cover photo on my book." 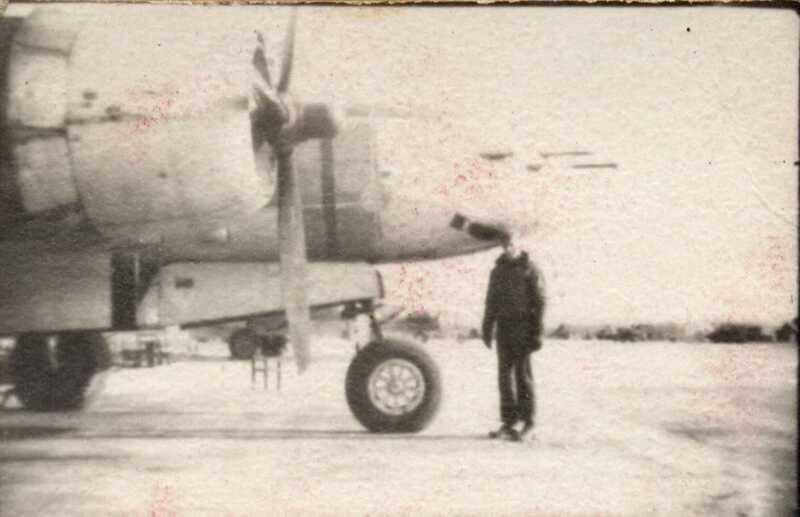 Description: (Back of Photo) Jim Phillips was one of the pilots who ferried a group of A-26 aircraft, including "Sugar Baby", back to the United States after the War. 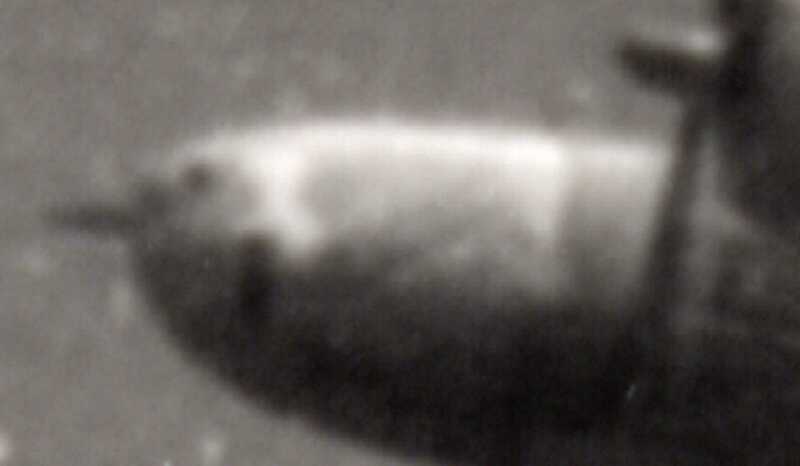 He took this photo while flight over the South Atlantic, August, 1945 and used it on the cover of his self-published book Pillars in the Sky, World War II from the Air.